"Did exactly what it said on the tin. EXCELLENT"
Get from A to B choosing whatever route you like with relative ease, by getting behind the wheel of one of the used Jeep cars in stock here at Motorparks. Founded at a time when the world was at war, Jeep has brilliantly displayed the spirit of freedom with every car it has produced over the past 70 years. This is because every one of our second hand Jeep cars is designed to cross any terrain without any fuss. 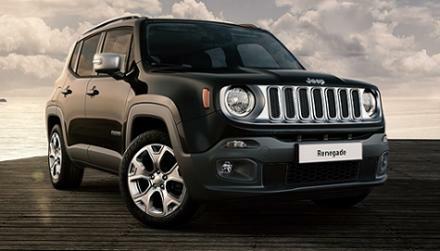 Style has not been compromised either, as you can see by checking out our used Jeep Renegade, used Jeep Patriot and used Jeep Grand Cherokee vehicles — the latter of which particularly stands out for being the most awarded SUV to date. Find the perfect used Jeep for you online now. Did you know that we offer 0% finance on certain models in our range? The renegade, being one of the smaller Jeep products, still manages to be extremely spacious, and uses a lot of gadgets inside including SATNAV and Bluetooth connectivity.